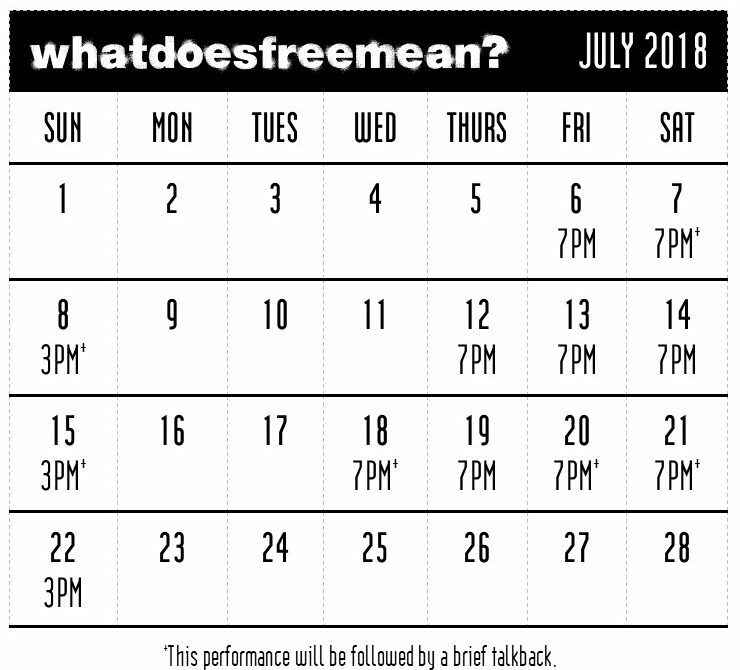 whatdoesfreemean? follows the journey of an African-American woman serving a long sentence for a drug offense. Mary ends up in solitary confinement where she struggles to maintain her sanity as she fights off hallucinations who appear as characters. The play takes the audience into her psychic world. We travel alongside her self-guided intellectual and emotional journey into the nature of freedom, both physical and psychological as Mary’s external and internal experience unfolds on stage in the present, in memory and the fantasies that help her survive. With James Edward Becton*, Brenda Crawley, Justin Jorrell, Galway McCullough*, Liz Morgan*, and Lisa Strum* as Mary. This production is an Equity-approved showcase. *Actors appearing courtesy of Actors’ Equity Association.